On August 30, 1923, a baby boy who came to be known as Nate Saint was born. That day no one except God knew what would happen in his life story, but all these years later we can look back and see it, and it is worth remembering. In honor of the day, here’s a lightly edited repost of a piece I wrote about Nate Saint some time ago. I first “met” Nate Saint through the pages of The Fate of the Yellow Woodbee by Dave and Neta Jackson, a book my dad read to me. Later, I discovered more about Nate when an excerpt from Jungle Pilot appeared in my school reading book. I savored that story and years later tracked it down to read it again. Combine those experiences with stories from my dad about working at a mission hospital in Ecuador, and Nate was stamped on my hero list! However, it wasn’t until this past month that I actually read all of Jungle Pilot: The Gripping Story of the Life and Witness of Nate Saint, Martyred Missionary in Ecuador by Russel T. Hitt. It lives up to the “gripping” claim and is worthy of a post. The story of Nate Saint is a love story. Or maybe it’s actually a loves story. Let’s look at these “loves” one at a time. Jungle Pilot is the story of a man who loved to bring others into his corner of the world through writing. “I don’t want to be a great writer but I long to express myself…I want to share the stories that are unfolding all around me. Mine would only be attempts, to be sure, but these attempts plus helpful criticism from others may help me eventually to be able to tell stories with the flavor that can only come from an eyewitness.” (pg. 11) This love poured itself onto letters, journal entries and articles. What a mercy that it did because these words eventually formed the structure of Jungle Pilot. Early on in Jungle Pilot, we see that Nate’s story is also the story of a man who loved flying. After his first experience behind the controls with his brother Sam, “he never could get enough of airplanes,” (pg. 46). Speaking from personal experience, it is a thrill to hold a plane’s controls! Nate possessed a keen mechanical ability as well. His sister-in-law once said, “I wearied of nuts and bolts for dinner” of the dinner table conversations they shared (pg. 52). As Nate worked his way through Army Air Corp training, it seemed that he was made to be a pilot. Then – just as he was about to start flying – his childhood nemesis osteomyelitis returned. Although he stayed in the Army, he would never fly there. “I was heartbroken,” Nate reported (pg. 66) about his shattered dream. However, he soon got back on his feet. It’s a good thing he did, too, because within a few years, Nate found himself flying as much as he could. No, he wasn’t dodging or dropping bombs with the Army, but flying with Missionary Aviation Fellowship (MAF) had plenty of dangers lurking in short runways, unexpected downdrafts and more. Thankfully, he had people around him to help him bear the load of work and worry. Of those people, a few stand out, especially his family. Undoubtedly, Jungle Pilot is the story of a man who loved his family dearly. You’ll have to read how Nate and Marj met for yourself. (God writes the best love stories, doesn’t He?) The love evident at their wedding only grew deeper with time. Once Nate wrote to Marj about their wedding: “If I had known you before as I know you now, I would have answered the preacher with a shout instead of a quiet ‘I do’.” (pg. 183) This real-life love extended to their children as seen in Nate’s response to the news that Kathy was born. (He was in Panama at the time for medical care while Marj was in Ecuador.) “Thank God for the wonderful news in the telegram…Honey, don’t be afraid to give that little gal lots of loving. She’ll need the practice for when her daddy gets home…I can hardly wait to see our precious baby.” (pg. 139). Later, Stevie, and Phil joined the family. Amidst all the demands of pioneer missionary work, Nate made time for talking with his little ones, sharing Bible stories and praying with them (pg. 180). But Nate’s love extended beyond his family making his story that of a man who loved others, even the unloved. He showed love for the the missionaries in his daily service as a pilot, mechanic, handyman and friend. He loved the native Ecuadorians and the Shell Oil workers as he used his skills to help them as well. Then his love reached beyond the jungle barriers to the unknown tribes, even the “Aucas” – known as killers – who could give him nothing in return. After his death, his wife Marj wrote to their children, “For a long time you children have prayed for the Aucas…Daddy would want you to love them and thank our heavenly Father that our prayers for these Indians are being answered,” (pg. 286). There’s so much more I could say, so many stories I didn’t share. I hope you’ll get an opportunity to read Jungle Pilot for yourself and be able to feel like an eyewitness to Nate Saint’s story. May we all know what it is to love to do good things and to love people. Even more importantly, may we know the love that the heavenly Father has lavished on us – both today and every day – and may it be the fuel for everything we do. * Russel T. Hitt, Jungle Pilot: The Gripping Story of the Life and Witness of Nate Saint, Martyred Missionary in Ecuador, with an epilogue by Stephen F. Saint (Grand Rapids: Discovery House Publishers, 1997), 122. All quotations are taken from this book unless otherwise noted. On Valentine’s Day, 1948 a young couple celebrated their wedding. One witness remarked that “not many are privileged to see such love and total giving on the faces of two people. I will never forget it.”* Little did the bride and groom know that sixty-eight years later, their story would be known the world over. I first “met” the groom Nate Saint through the pages of The Fate of the Yellow Woodbee by Dave and Neta Jackson, a book my dad read to me. Later, I discovered more about Nate when an excerpt from Jungle Pilot appeared in my school reading book. I savored that story and years later tracked it down to read it again. Combine those experiences with stories from my dad about working at a mission hospital in Ecuador, and Nate was stamped on my hero list! However, it wasn’t until this past month that I actually read all of Jungle Pilot: The Gripping Story of the Life and Witness of Nate Saint, Martyred Missionary in Ecuador by Russel T. Hitt. It lives up to the “gripping” claim and is the perfect post for this week because the story of Nate Saint is a love story. Or maybe it’s actually a loves story. Let’s look at these “loves” one at a time. Early on in Jungle Pilot, we see that Nate’s story is also the story of a man who loved flying. After his first experience behind the controls with his brother Sam, “he never could get enough of airplanes,” (pg. 46). Speaking from personal experience, it is a thrill to hold a plane’s controls! Nate possessed a keen mechanical ability as well. His sister-in-law once said, “I wearied of nuts and bolts for dinner,” of the dinner table conversations they shared (pg. 52). As Nate worked his way through Army Air Corp training, it seemed that he was made to be a pilot. Then – just as he was about to start flying – his childhood nemesis osteomyelitis returned. Although he stayed in the Army, he would never fly there. “I was heartbroken,” Nate reported (pg. 66) about his shattered dream. However, he soon got back on his feet. It’s a good thing he did, too, because within a few years, Nate found himself flying as much as he could. No, he wasn’t dodging or dropping bombs with the Army, but flying with Missionary Aviation Fellowship (MAF) had plenty of dangers lurking in short runways, unexpected downdrafts and more. Thankfully, he had people around him to help him bear the load of work and worry. Of those people, a few stand out, especially his family. There’s so much more I could say, so many stories I didn’t share. I hope you’ll get an opportunity to read Jungle Pilot for yourself and be able to feel like an eyewitness to Nate Saint’s story. May we all know what it is to love to do good things and to love people. Even more importantly, may we know the love that the heavenly Father has lavished on us – both on Valentine’s Day and every day – and may it be the fuel for everything else we do. If you would like to read Jungle Pilot, you can get both your own print copy AND audiobook version by making a donation of $10 or more to Missionary Aviation Fellowship (MAF) this month (for first-time donors). Come with Me on Safari! There they were. Giraffes, just feet from the bus windows! How elegant they looked! The bilingual guide explained that each giraffe has its own unique spot pattern. No two are exactly alike. As we continued down the dusty road under the sun, elephants soon appeared. 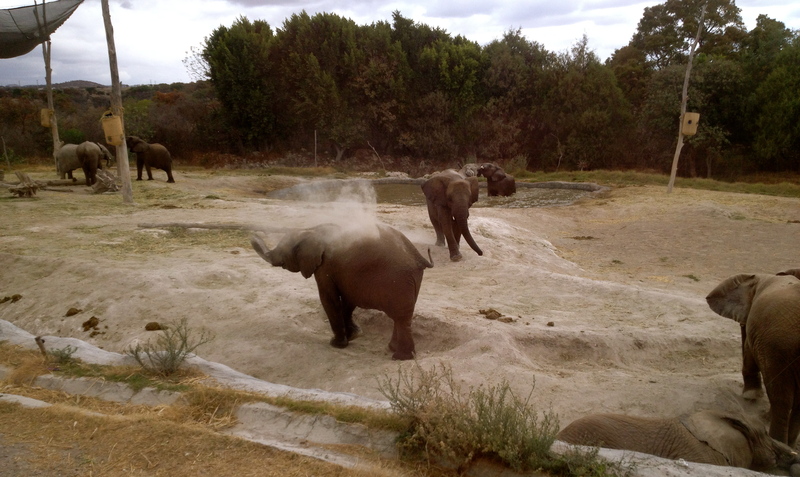 They lifted their trunks to give themselves dust baths and flapped their ears. I settled back in my seat. What an awesome God made each of these creatures! I was on safari, and I was loving it! Looking back on my safari experience, I remember a couple of books that came into my hands years ago. Jungle Doctor’s Africa and Jungle Doctor on Safari share stories told by Paul White, an Australian missionary doctor who lived in Tanzania (then Tanganyika) from 1938-41. Even though these books are in the middle of the Jungle Doctor series, I think they are a great starting point and can be read without the first several books. Both volumes are based on Paul White’s experiences in Africa and are told from his perspective. Jungle Doctor’s Africa takes place mostly at the Mvumi Hospital while Jungle Doctor on Safari follows the Jungle Doctor (Paul White) as he visits mission stations. While they are considered children’s books, I enjoyed them beyond childhood. The adventures are laugh-out-loud funny at times, intriguing at others because of the African backdrop, and often sobering and edifying as the realities of life and death are faced in light of Scripture. Paul White’s writing style adds to the charm. I love his descriptions. “An apology for a road” or “bone-jolting” trip come to mind. Some parts remind me of life in Guatemala. I definitely feel that he could write so well because he had lived it and what the Lord was doing in Africa was dear to his heart. Another interesting aspect of the writing style is the foreign words sprinkled throughout. Both Swahili and Chigogo (or Gogo) words pop up often. A glossary in the front makes them easy to understand, though, and I like the fun way the words sound in my head! Most of all, I love how “Bwana” (Dr. White) uses little opportunities to share the Gospel with memorable illustrations or word pictures. Yes that’s another reason to love these books. They have a hope-filled perspective that can nourish the soul. So there I was on my own safari, delighted that God had orchestrated for me this sweet opportunity. Was I in Paul White’s Tanzania? Well, no. I actually went on safari in Mexico. That’s right! Mexico. 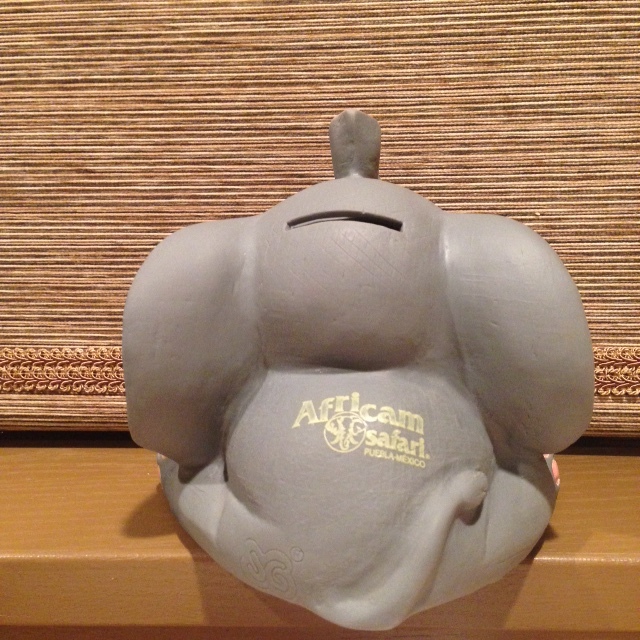 Sorry if that’s a disappointment to you, but I wasn’t disappointed in the least by my experience at Africam Safari. I hope you’ll go if you ever get the opportunity. 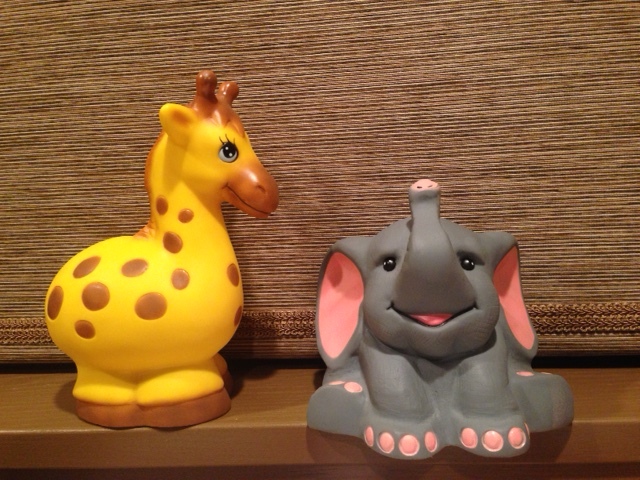 And if you love the giraffes and elephants as much as I did, you might just need something like these little guys to bring home in your suitcase.